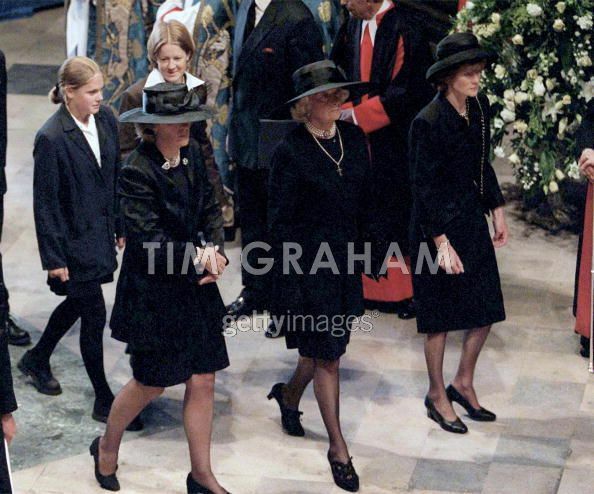 Funeral of Diana Princess of Wales. Diana's Family members, including Diana's mother, Frances Shand-Kydd, Diana's elder sister, Lady Sarah McCorquodale, the 9th Earl, Charles Spencer, Prince William, Prince Harry. Wallpaper and background images in the Princess Diana club. This Princess Diana photo might contain surcoat.